Being the holidays, this column breaks from the usual then and now format to share views of Indianapolis at Christmas through the years. 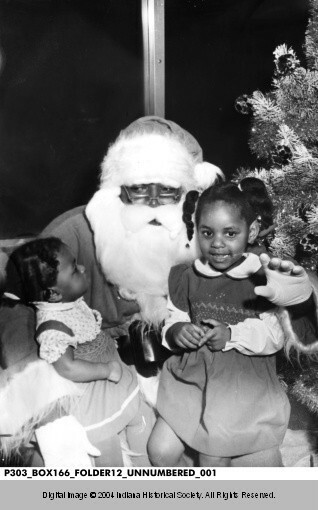 Wishing everyone a very Merry Christmas and a year full of bliss and historic moments! 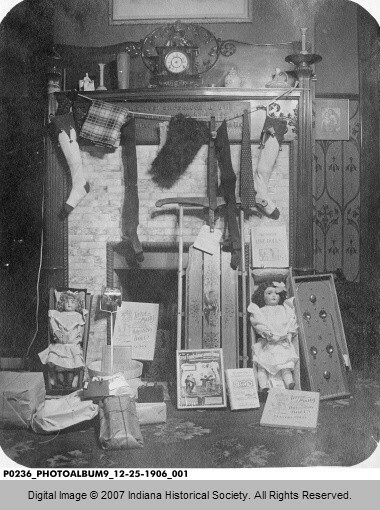 Amateur photographer Walter Carpenter documented his family’s mantle and Christmas stockings in 1905 at their home at 926 West Drive in Woodruff Place. 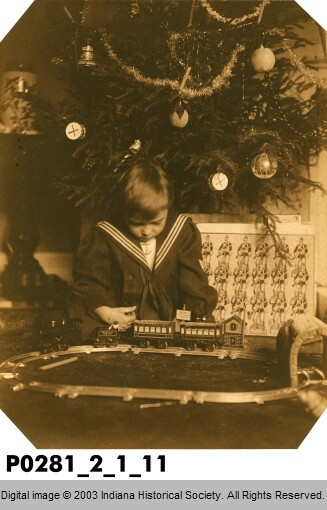 Heber Taylor plays with his new train beneath the Christmas tree in his home in the Herron-Morton Neighborhood at 1941 N. Pennsylvania Street. 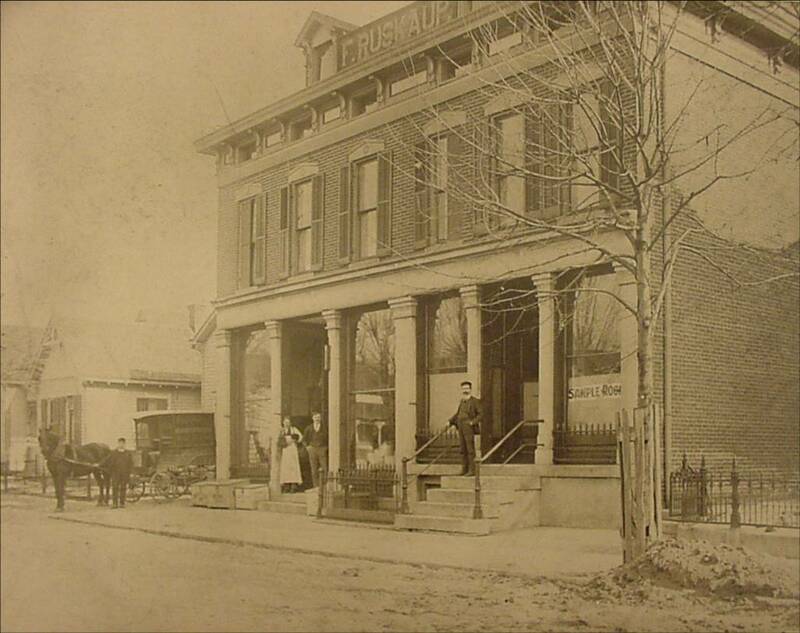 Photograph by his mother, Mary Lyon Taylor, circa 1908. 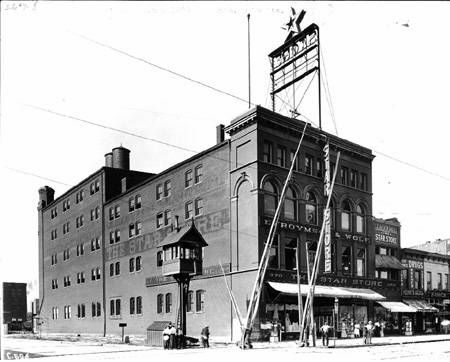 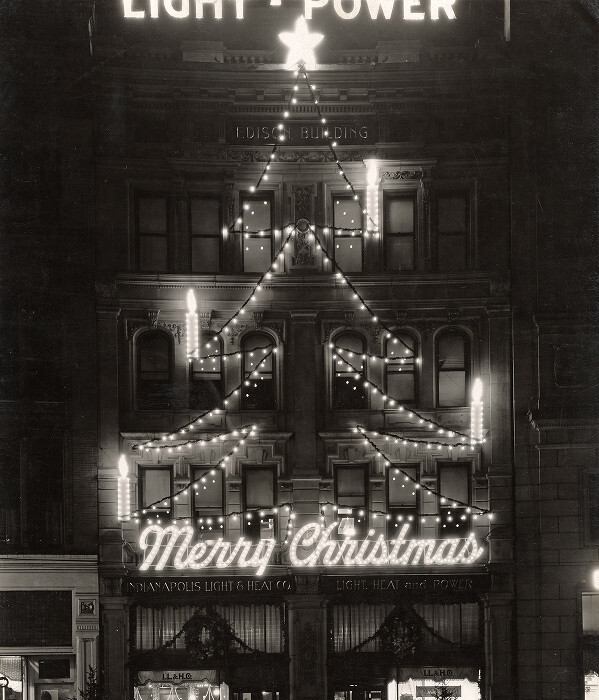 The Edison Building, home of the Indianapolis Light & Heat Co., lit up for Christmas at 46-48 Monument Circle in 1926. 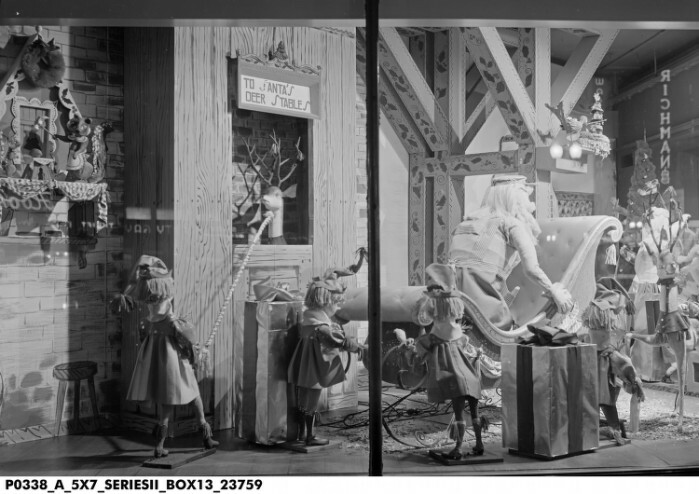 Santa Colossal, a giant singing Santa made of styrofoam, was the highlight of the Indianapolis Industrial Exposition in 1949. 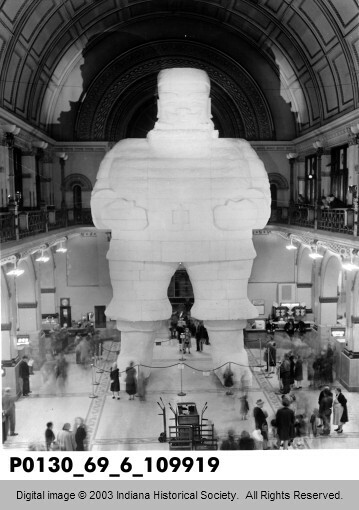 Learn more about his short existence here. 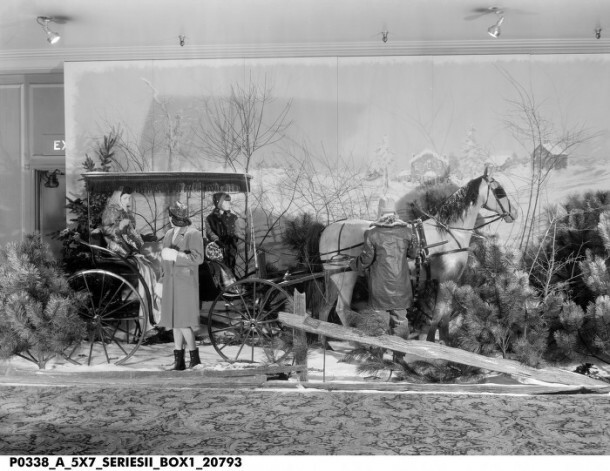 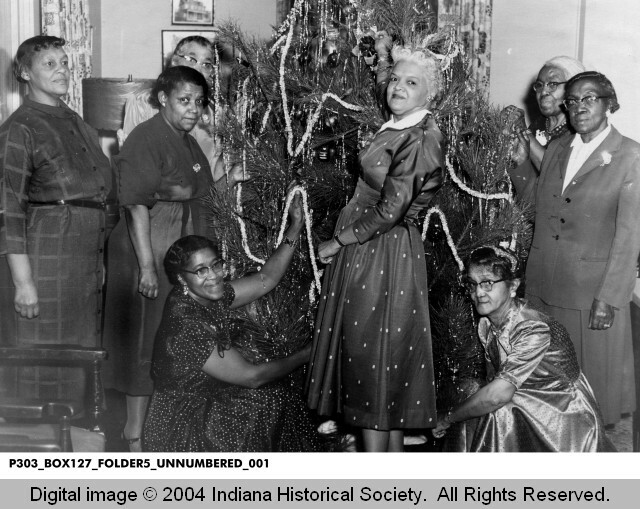 Women of the Social Hour Club with their tree at the house of the Indiana State Federation of Colored Women’s Clubs, January 11, 1958. 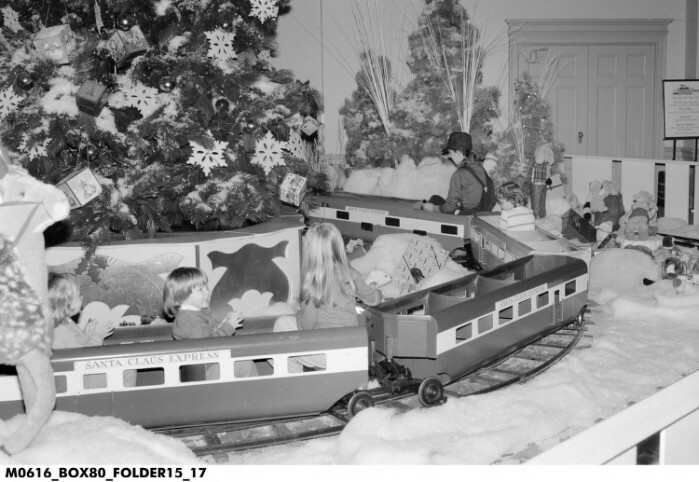 The Santa Claus Express at L. S. Ayres, circa 1960s. 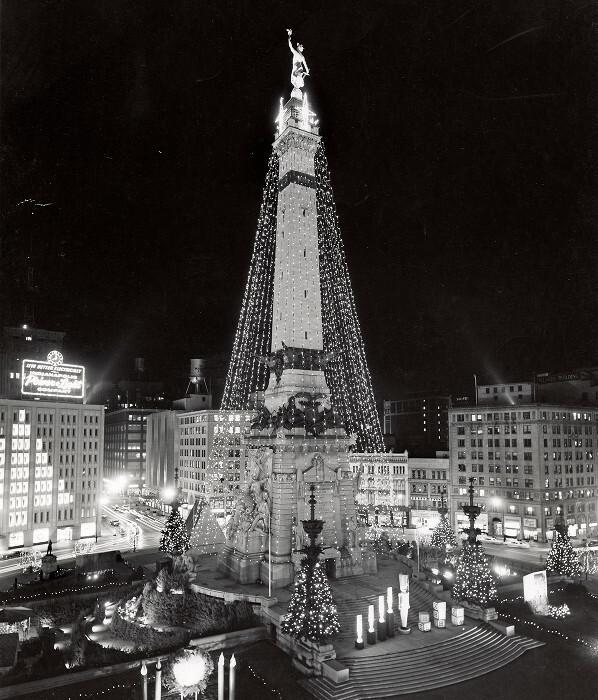 The Soldiers and Sailors Monument decorated for Christmas in 1968. 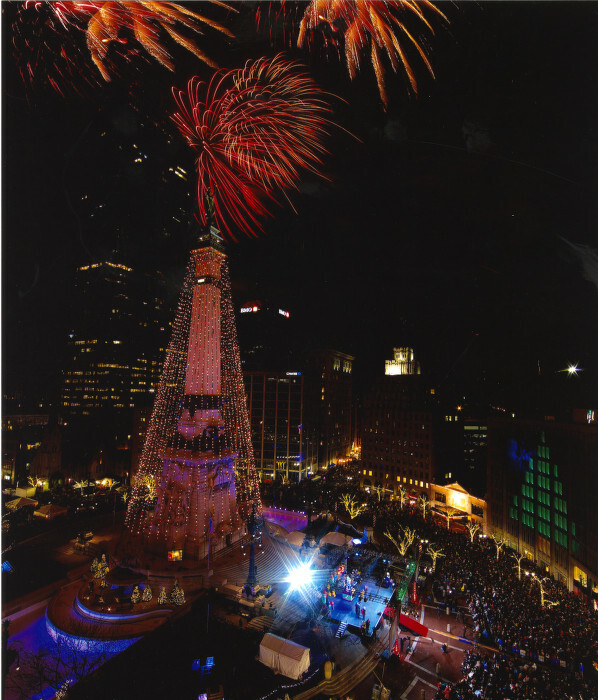 Crowds celebrated the 50th anniversary of the lighting of the Soldiers and Sailors Monument on November 23, 2012. 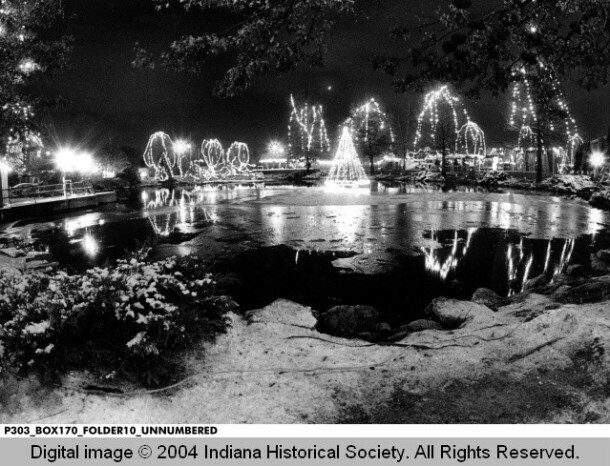 PreviousPenny Post: A Merry Weihnachten to You! 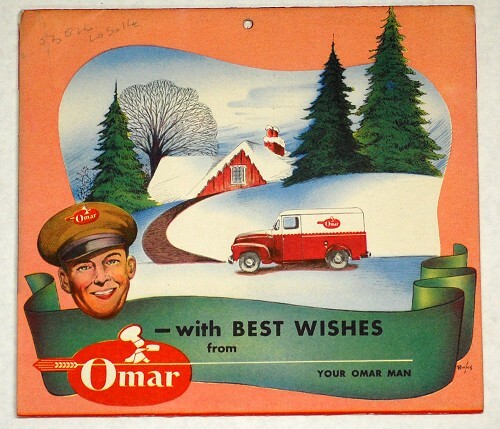 This was fun to look at! 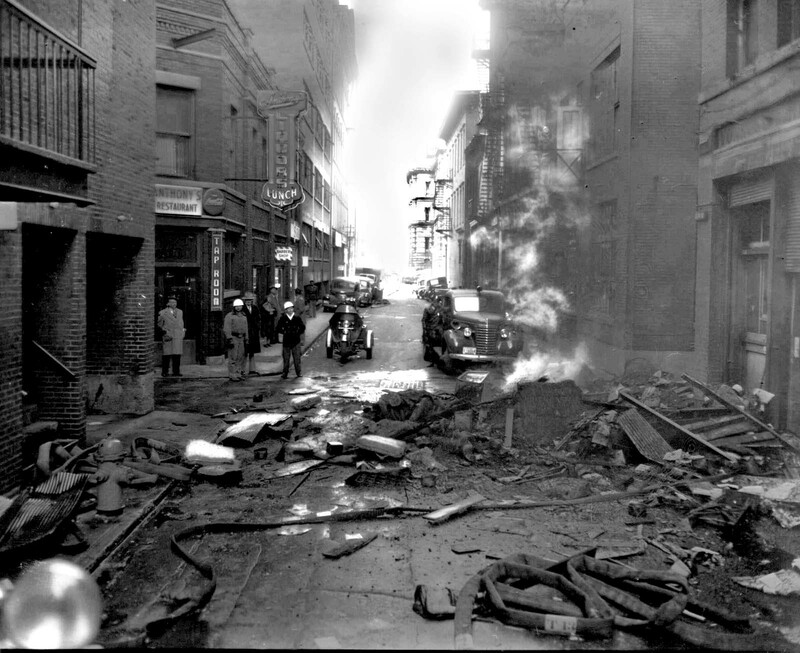 Still have my Poosh-em-Up game, shown on the far right in the first photo! My grandchildren, mostly grown now, continue to love it and play with it as much as I did when I received it for Christmas in 1949 from MY grandparents.